Last night was so much fun, but I think I'm done drinking for a while. Rachel, Michael, Megan, and I had margaritas and were playing Mario Party when Rachel found some Post-Its, sparking a brilliant idea. LABEL EVERYTHING! 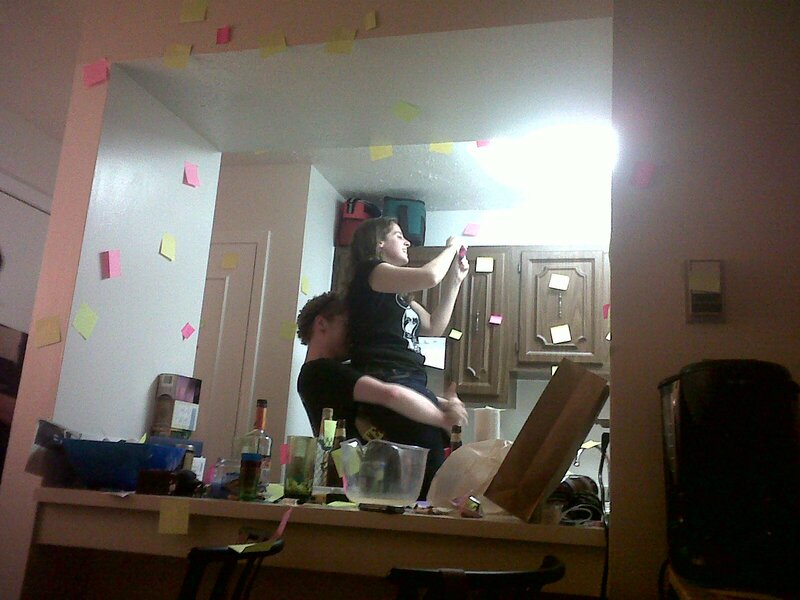 She started, so I joined her while Michael played us "labeling music" on the piano, and Megan took pictures. 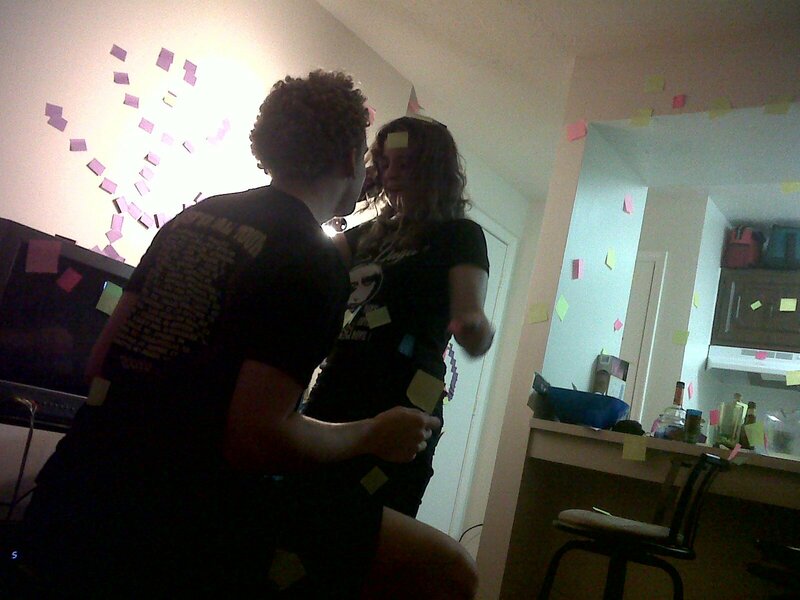 We went through like 12 pads of Post-Its. They were EVERYWHERE, and they still are. Ha ha.